Following are the list of key events which can change the direction of stock market. July 9 - Eurogroup meeting of euro zone finance ministers in Brussels. July 10 - Ecofin meeting of European Union finance ministers in Brussels. Sept. 14/15 - Informal Ecofin meeting of European Union finance ministers to be held in Cyprus. Oct. 8 - Eurogroup meeting of euro zone finance ministers in Luxembourg. Oct. 9 - Ecofin meeting of European Union finance ministers in Luxembourg. Oct. 18/19 - Summit of EU heads of state and government in Brussels. Nov. 13 - Ecofin meeting of European Union finance ministers in Brussels. 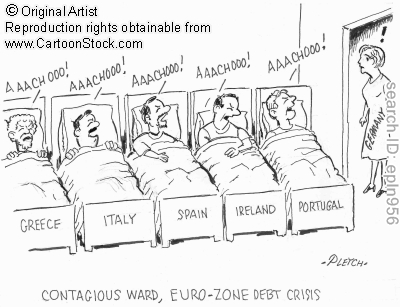 Dec. 3 - Eurogroup meeting of euro zone finance ministers in Brussels. Dec. 4 - Ecofin meeting of European Union finance ministers in Brussels. Dec. 13/14 - Summit of EU heads of state and government in Brussels.